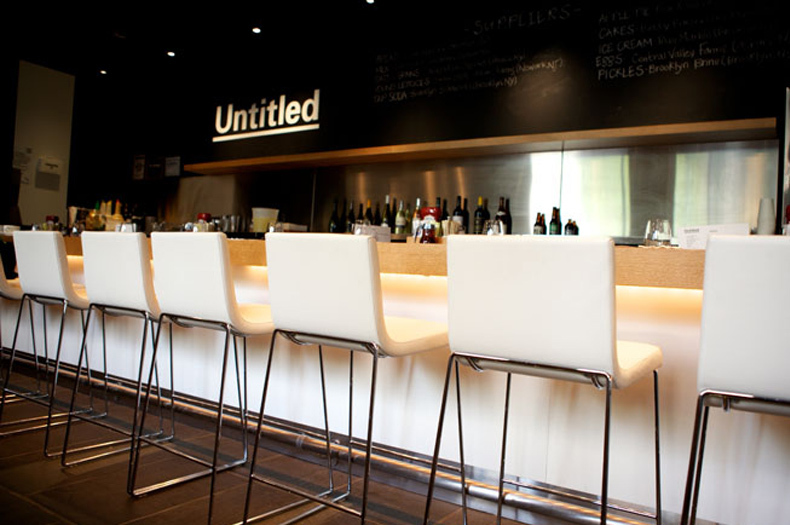 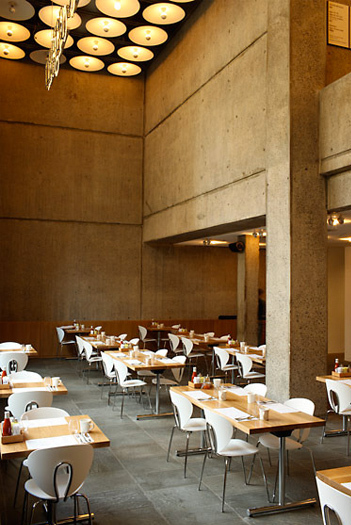 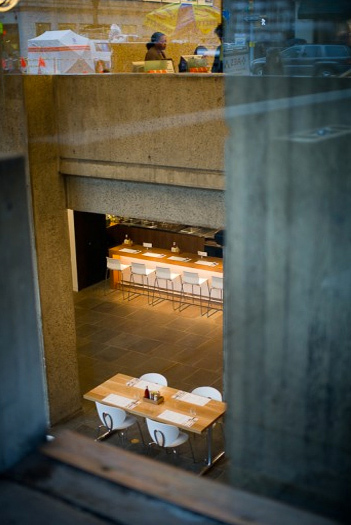 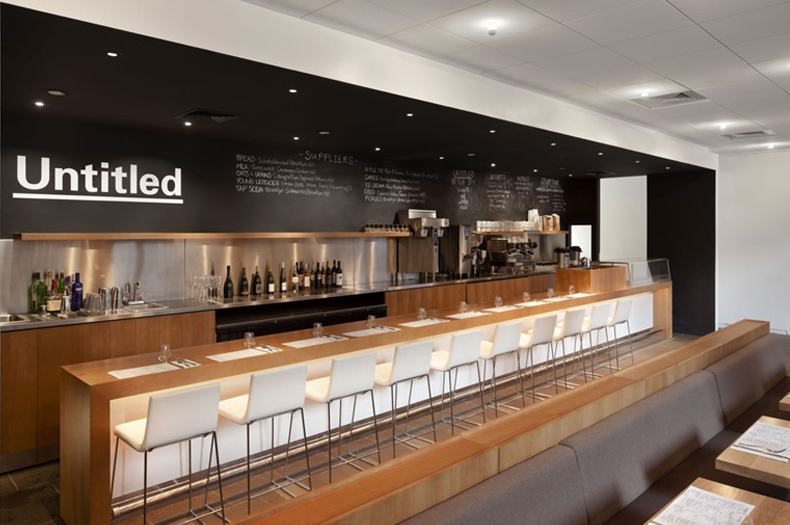 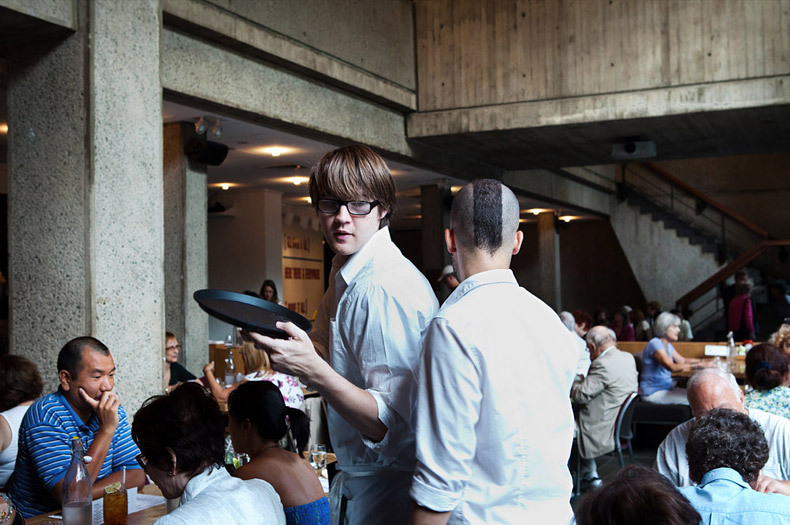 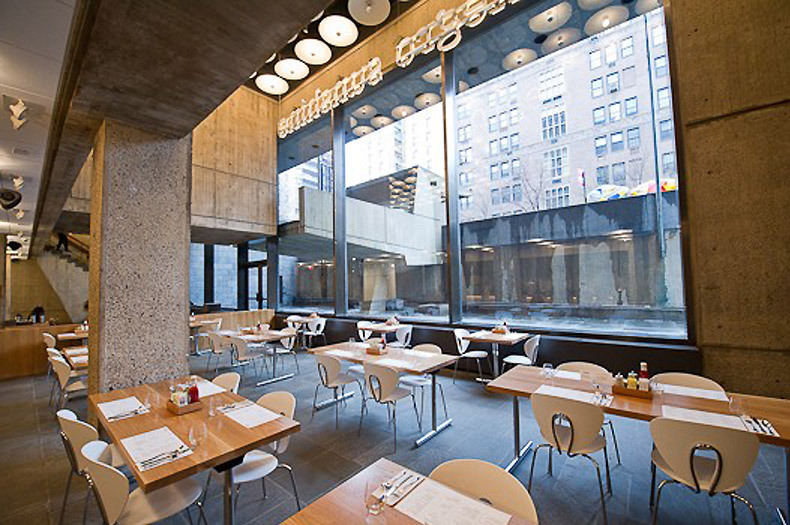 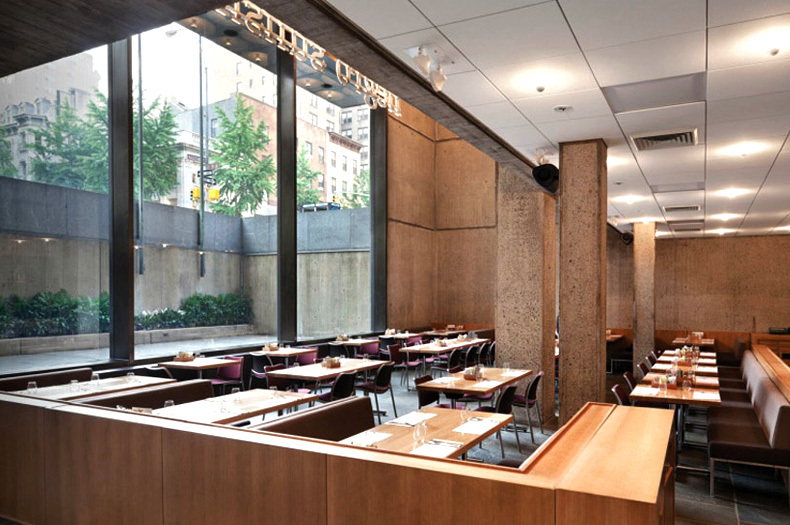 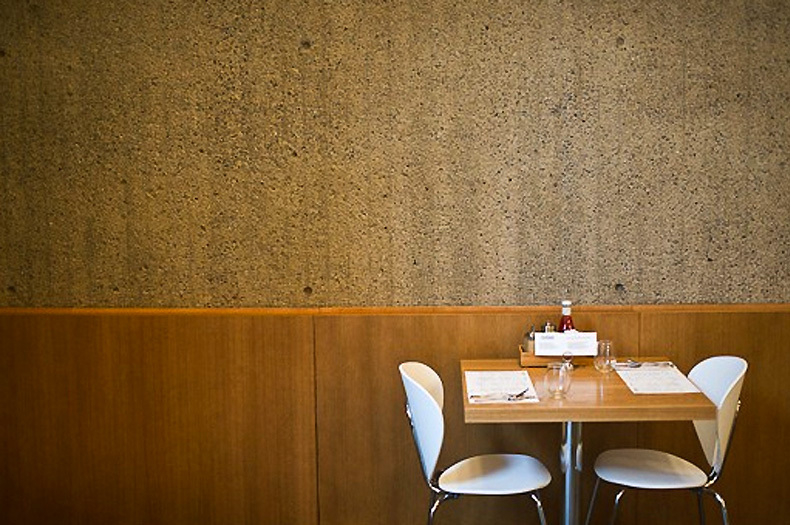 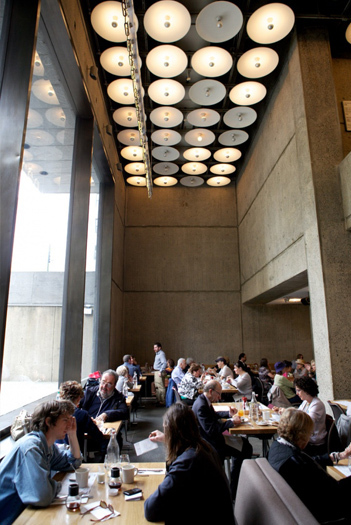 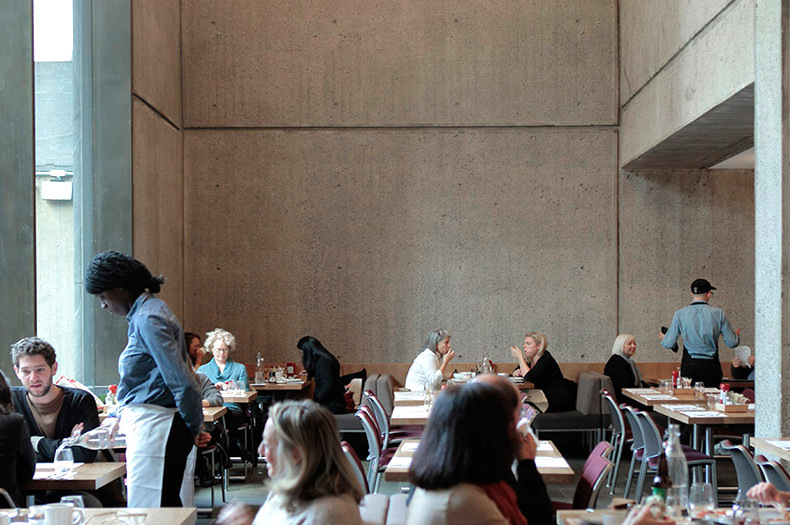 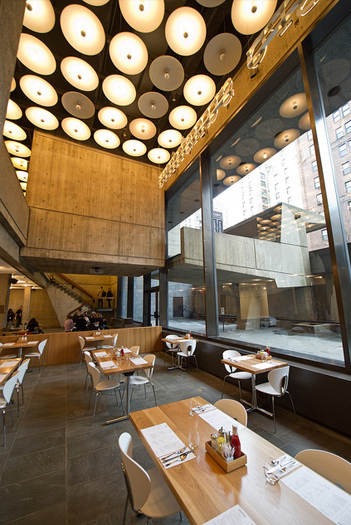 “Untitled” presents a contemporary take on the classic Manhattan diner within the iconic Marcel Breuer building on the upper east side within the Whitney Museum of American Art. 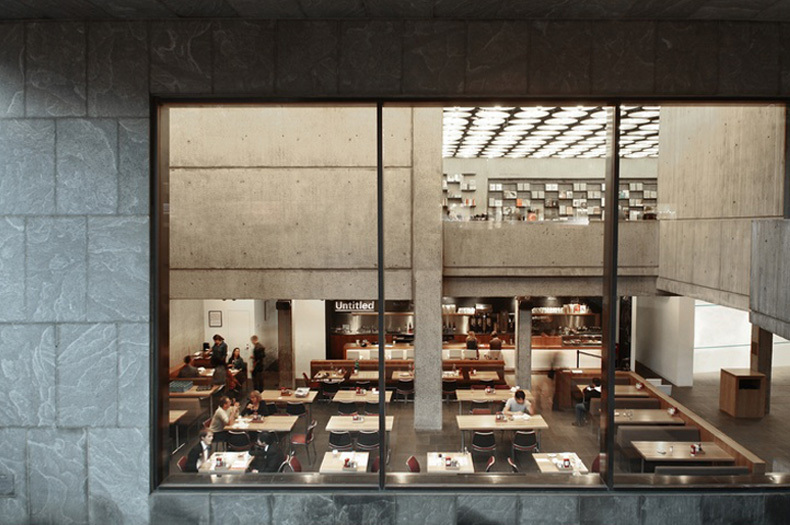 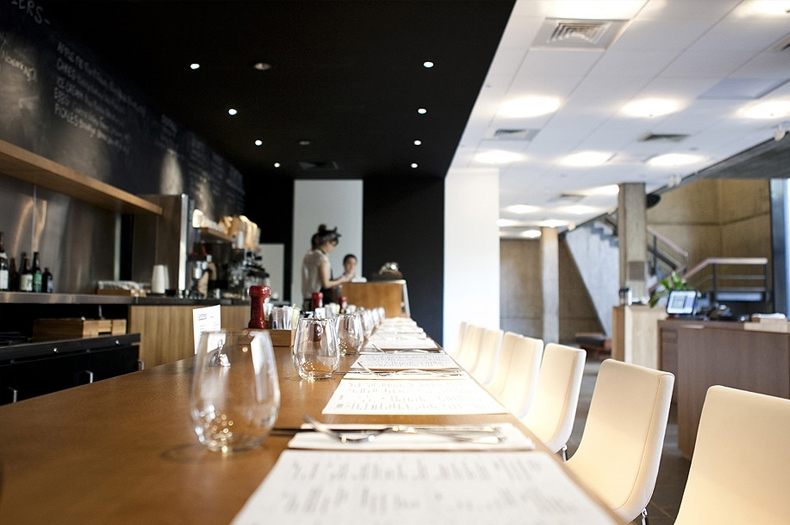 The overall material palette used in the restaurant follows the look and feel of the existing building while providing a warm and comfortable oasis within the concrete surroundings. 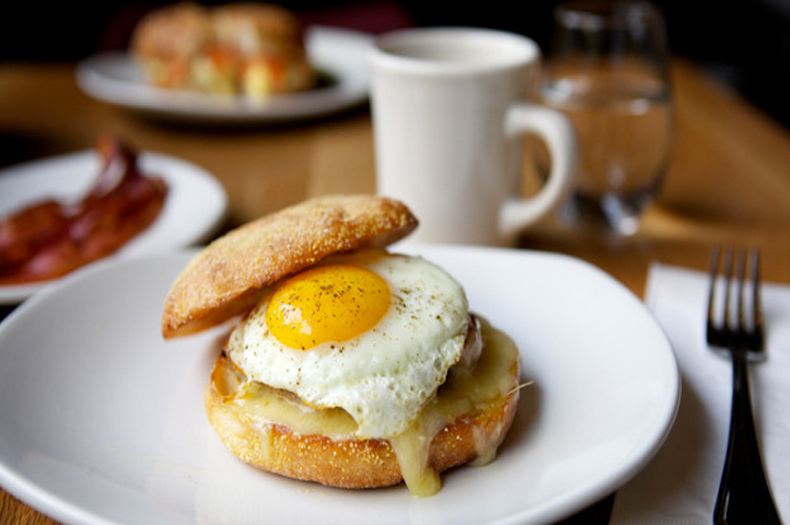 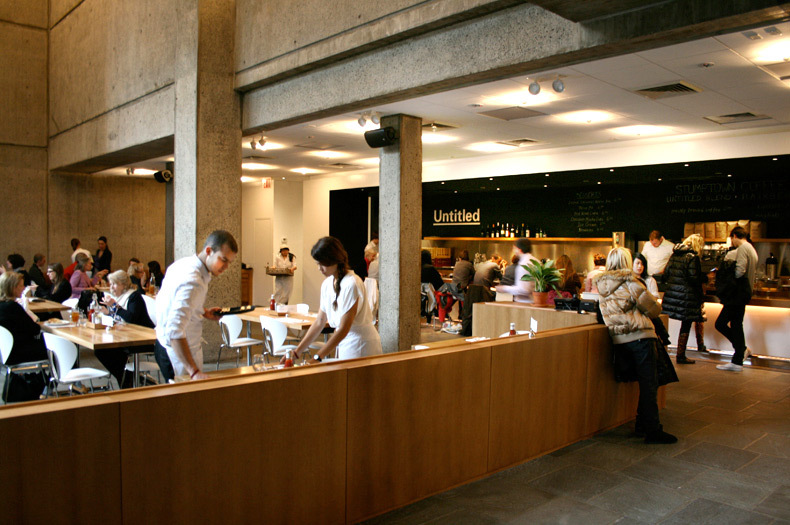 On top of great food, Untitled offers a unique museum and exhibition experience allowing guest to dine while watching some of the great pieces of art from the Whitney’s permanent collection which will be curated on a monthly basis to match the seasonal menu of the restaurant itself. 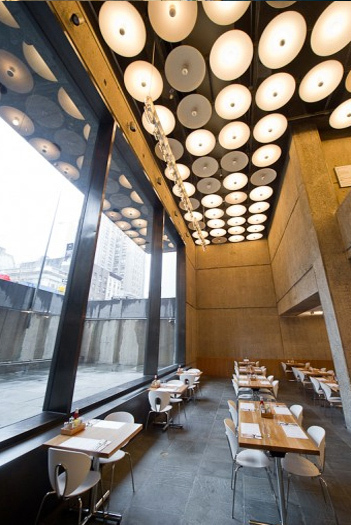 The restaurant is designed to be flexible and can be completely removed within hours to allow for the space to be used for special exhibitions, performances and events, giving the Whitney Museum the opportunity to increase their revenue potential for the space.